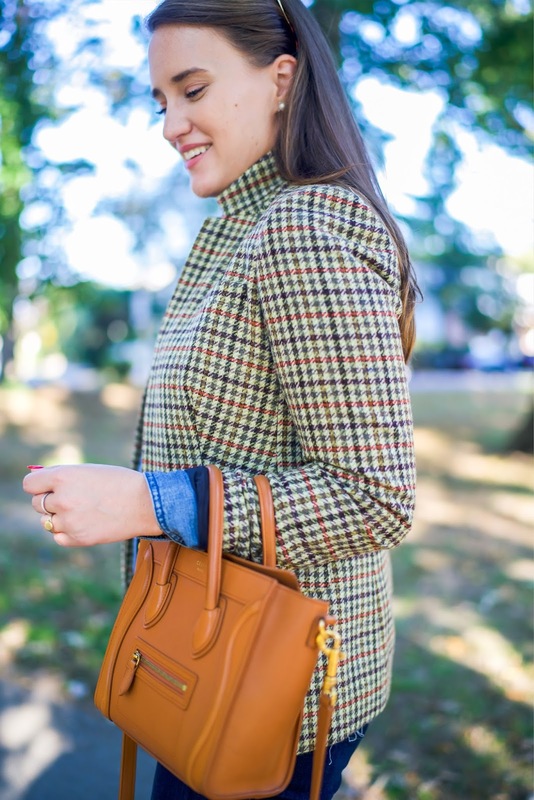 If you guys remember, I snagged this blazer during the Nordstrom sale and now I'm finallllyyyy getting a chance to wear it! 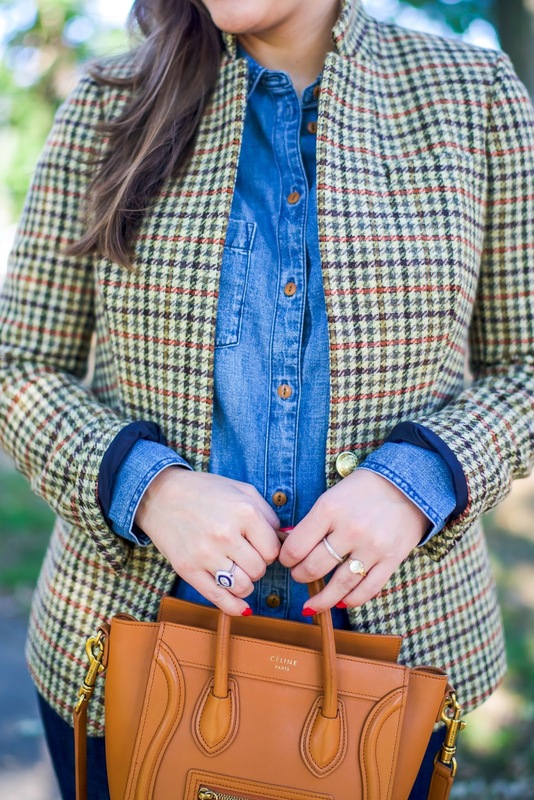 I've been dying to break this blazer out of my closet for a while now. Sure, I may have jumped the gun, but I regret nothing! 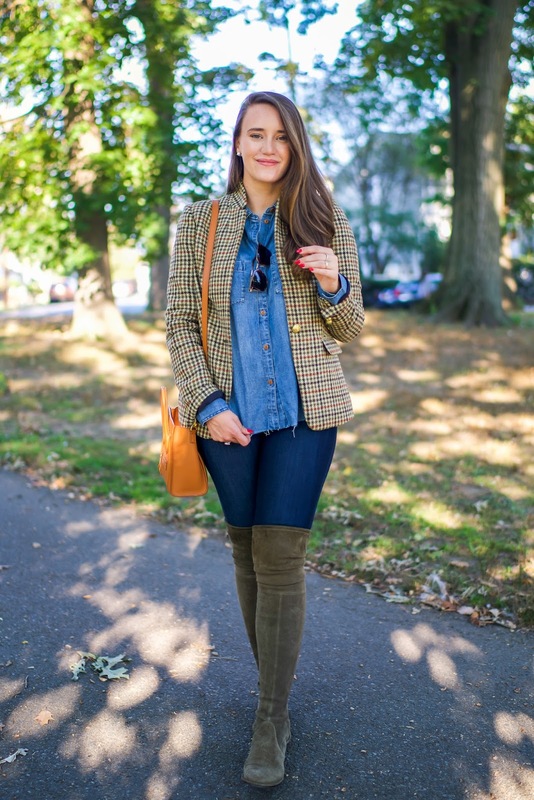 I love to layer and I'm trying to teach my mind to get back into the fall rhythm. 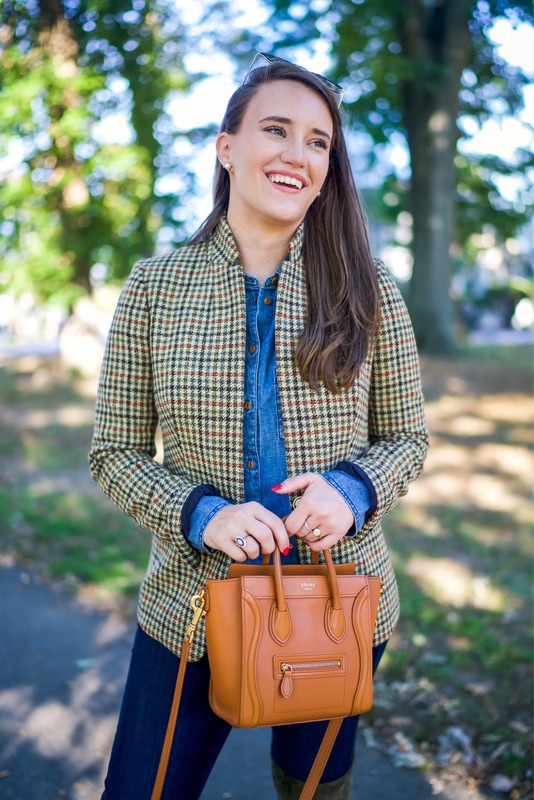 I've been pinning my old fall outfits to re-inspire me and to also figure out what I need to buy for this season! 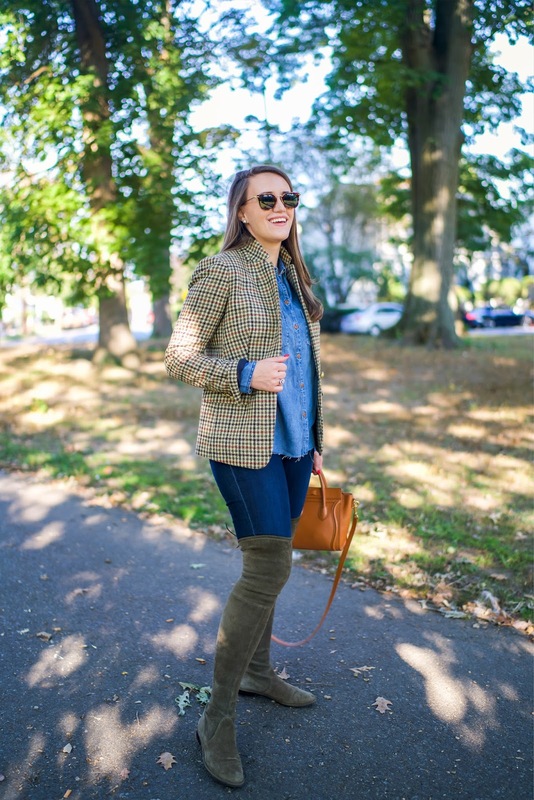 I know one thing is true: layers are your friend. 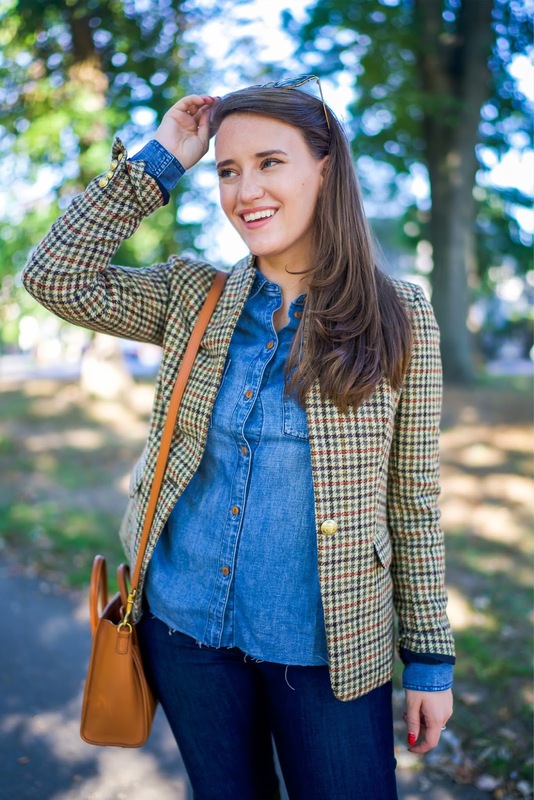 I just got this cut-off denim shirt over the weekend and I love how it looks with this blazer. 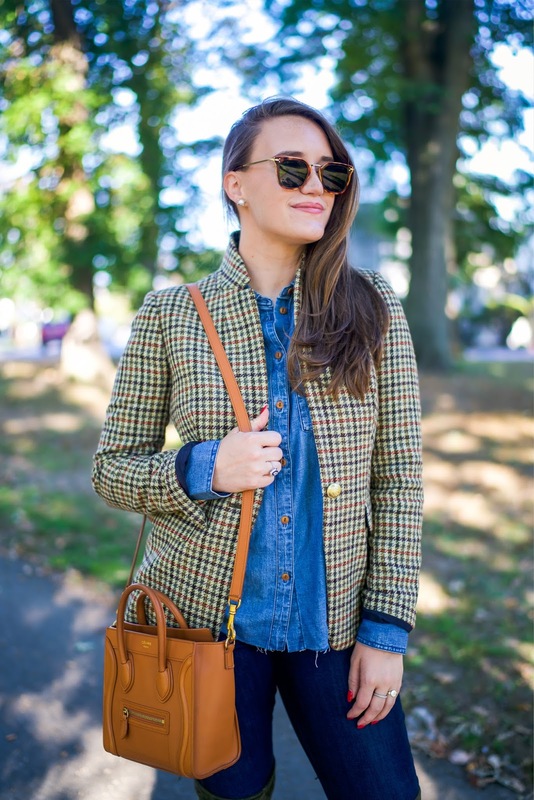 A little denim on denim with a pop of houndstooth? Never hurt anyone, right? Oh, speaking about bringing out old friends, the Stuart Weitzman's are OUT for the season. 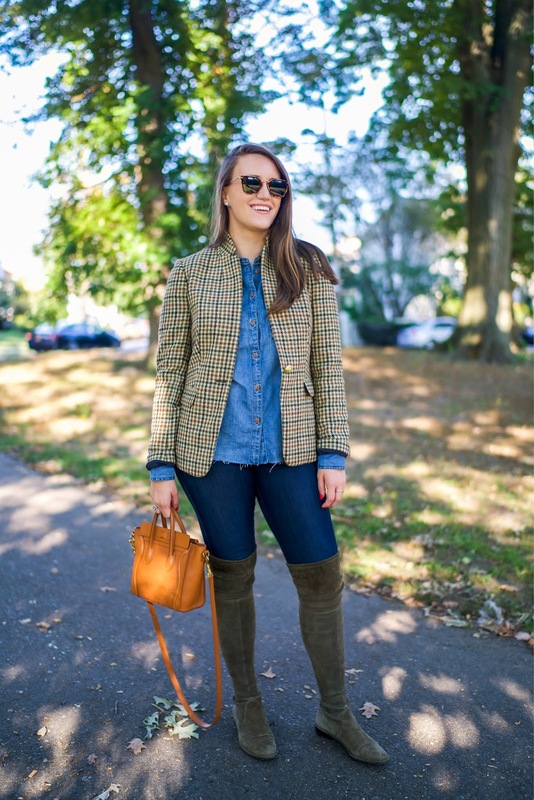 If you're new here, my fall shoes consist of Bean boots or over-the-knee boots. Thats it!